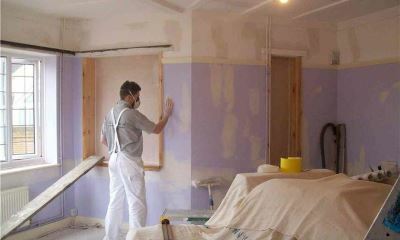 We are a family run business and provide a complete decorating and refurbishment service. Our aim is to ensure that our customers are totally satisfied with the services we provide. We offer a one off service to a regular maintenance service domestic & commercial . Aiming to exceed your expectations by providing a high quality service with a friendly and helpful attitude. We cover most areas at no extra cost. We are a business that can prove that we comply with Health & Safety and environmental legislation. We are also East Sussex Trading Standards Approved. Roof cleaned of moss and moss-killer applied, where necessary cement fillets were replaced, gutters cleared and flat roof over porch sealed. Stripped ceiling and chimney breast wall paper and re-plastered. Extremely courteous, took a great deal of care to protect carpets, wall coverings etc. Very high standard of work. 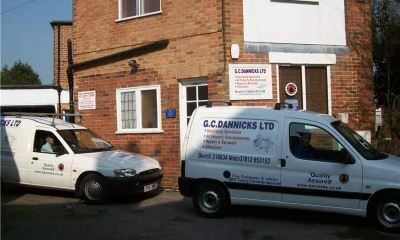 We would have no hesitation in recommending GC Dannicks to other potential customers. Painting, some plastering and some wallpapering of flat. They were brilliant, would definitely use them again. After others peoples shoddy work it's refreshing to meet a company that goes the extra mile. Mike and Dan have just completed the damp proofing of my utility room and have done an excellent job, I was kept well informed what they were doing, what the next stage of work to be carried out, they were very polite and very clean and tidy when working and when leaving site every evening. A very professional team. Excellent. Professional and very careful to explain what & how they were doing each stage of the process cant recommend highly enough. First class. Superb! Lovely people who take pride in what they do. This is the third time we have engaged Mick, Dan, Lucy and the team in a project at our house. From day one we have trusted them with our keys and happily 'move out' leaving them to it. They are lovely, professional people always go the extra mile to make sure some thing is perfect. E.G. After 3 coats on the new back door they weren't happy with finish (we were) so they came back one Sunday afternoon to do it again. Highly recommended. All the work was completed in a timely, well planned and professional manner. We would have no hesitation in recommending G C Dannicks. As Tina said "Simply the best!".. Having recently purchased my first property. I must confess to being a little daunted about getting anyone in to complete works. Thanks to GCD I need not hve worried and i will never worry again, I'll simply call GCD and know everything will be perfect. Mick & Dan were great to have around, always cheerful and friendly. They worked really hard and completed everything to an exceptionally high standard, always checking i was happy with my choices and offering ideas and advice. They always ensured the house was left tidy & safe for me to live in. They are clearly committed to their customers and care about their work. Planning on them returning to do further work very soon. They were very tolerant of my dog Dexter and allowed him to supervise! We have used G C Dannicks quite a few times now and yet again they have done a fantastic job of our nursery. Nothing is never to much trouble for them, Mick has brilliant ideas which always helps when you cant make a decision of what you would like. The room looks fantastic so thank you once again. Would always recommend and use G C Dannicks. One of the factors we took when choosing Dannicks to redecorate the outside of our house, together with various external repair jobs, was there feedback Mike & Dan lived up to there reputation in every way. There's absolutely nothing I can thought them on! The end result is a finish of a very high quality. The project was carried out very tidily, they were punctual, efficient and always extremely courteous, we were kept informed and consulted at every stage and they even brought there own tea, coffee and kettle. Can't recommend them too highly. 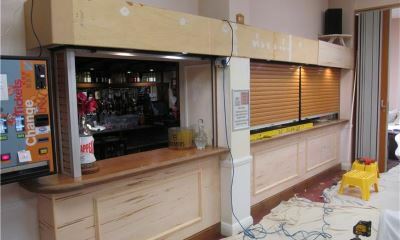 I am completely satisfied with the work carried out by Dannicks. All the staff were very polite, punctual and kept me informed if any variation to the jobs being carried out. I would definitely recommend them and I would definitely use them again. Did more than quoted for, wires needed fixing and down pipes painted. All work to a very high standard. This company is a very good and would recommend them. Very polite and courteous, very punctual, and all work done to a very high standard. During this work bad weather hindered progress, but they had no hesitation and worked saturday & sunday to ensure work was finished on time. I have used Michael and his son Daniel before and was more than satisfied both times. 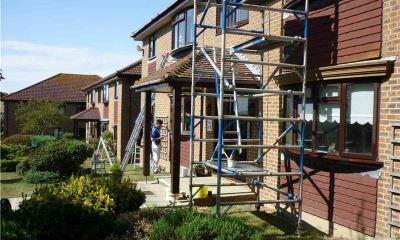 In fact my next door neighbour has asked them to quote after seeing them work. Mick, Dan & Lucy came to us as decorators and left as friends! Professional, skilled, talented, trustworthy, cost effective in their approach, flexible, suffice to say we cant recommend them highly enough. Given the age/condition of our house this is the start of a beautiful relationship. I have used Dannicks before, and would use them again. Excellent job by Mike & Dan as i would have expected. Really good quality work and worked around our timetable. So accommodating and left it so clean. Despite weather being difficult at times, work was done during every possible moment, including weekends. Mt wife and I saw our 70th birthdays some years ago and we both agree that Michael and his son Dan were the finest tradesmen of any kind that have ever done work for us. Their time keeping was on the dot, in fact I saw their van waiting half an hour early. The place was left spotless everyday and they can only be described as friendly & polite. The standard of their work is best summed up by the fact that we have asked them to quote for work outside. If there was a mark over 10 we would gladly give it all round.